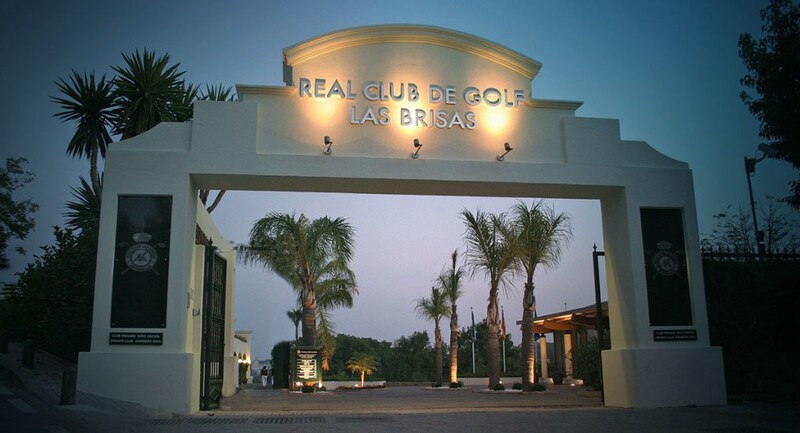 The year of 1973 will live long in memory of the members of Real Club de Golf Las Brisas. Not only did the course host the Spanish Amateur Open but it was also the setting for the World Cup of Golf – the sport’s oldest worldwide team competition. The tournament was won by Jack Nicklaus and Johnny Miller, the latter establishing the course record of 65.The layout drew praise from all who played it, culminating in the former Ryder Cup captain Paul Azinger later declaring it was the best course he had ever played. The layout at Las Brisas had only been open for three years when the American duo romped to victory, yet it had already hosted the first of three Spanish Opens and would later stage another World Cup of Golf in 1989.These were heady days for the Malaga club. Fast forward to the spring of 2012 and Las Brisas is readying itself for a €2 million renovation project that would send the Robert Trent Jones Senior design hurtling into the 21st century. Although the club had hosted some of the world’s best players, the glory days were long gone and it was clear improvements had to be made if Las Brisas was to stay in Europe’s top flight (in GolfWorld’s latest round-up of the best continental courses, Las Brisas dropped 40 places). The club had no choice other than calling in a designer with a clear vision for the club’s future and an eye on its past. He would also need an understanding of the philosophy adopted by the club’s original architect, as Muñoz explains: “We spoke to a number of architects, but Kyle Phillips seemed to have the same philosophy as Robert Trent Jones Senior,” he says. Perhaps best known for the run-away success of Kingsbarns Golf Links near St Andrews, Kyle Phillips has an enviable reputation of producing natural-looking layouts heavily influenced by links golf. He also takes on renovation projects and has been entrusted with some high profile projects including the overhaul of The Robert Trent Jones Golf Club in Virginia ahead of the 2000 and 2005 President’s Cups. At Las Brisas, Phillips saw a chance to tread in the great man’s footsteps once again. “It was an opportunity to keep the same concept of the course but refine some elements,” Phillips explains. “To do this, I put on my Robert Trent Jones Senior hat and imagined what kind of things he would have done naturally if he walked out here today. As a private club, very little happens at Las Brisas without the approval of its 1,320 members who each pay an entry fee of €20,000 and annual subs of €2,120. Although this endorsement could have been a stumbling block, the plan to upgrade the front nine while keeping the back nine open for play received overwhelming support. “We only had funds to do nine holes and the members were not happy to ask for a loan in the current financial situation we have in Europe,” Muñoz says frankly. Although the original plans focused on rebuilding the greens to USGA specifications and introducing a new irrigation system, the scheme also opened up possibilities of assessing the strategy of each hole and reconsidering bunker placement. The challenge of striking a balance between changing the course to counter new ball and club technologies while re-establishing the original design philosophy is one that Phillips clearly enjoyed. Despite the retrospective nature of the project, Phillips insists it wasn’t a restoration. “This wasn’t a restoration project by any stretch of the imagination,” says Phillips. “What does that really mean? Is it a literal restoration where everything is put back in its original place? This approach resulted in the introduction of ten new greens including a new practice green, 50 rebuilt bunkers, two new bunkers and two bunkers being removed. The work, which was carried out by Southern Golf, took place between April and the end of August with the abrupt time-frame intended to cause minimal disruption to the club’s members, many of whom are retired and own second homes in the area. With the first nine holes due to be unveiled officially in December, Phillips is already receiving positive comments from the people who matter the most – the members.